Applying Market Forces to educational provision, and how they affect functions of the learning process. 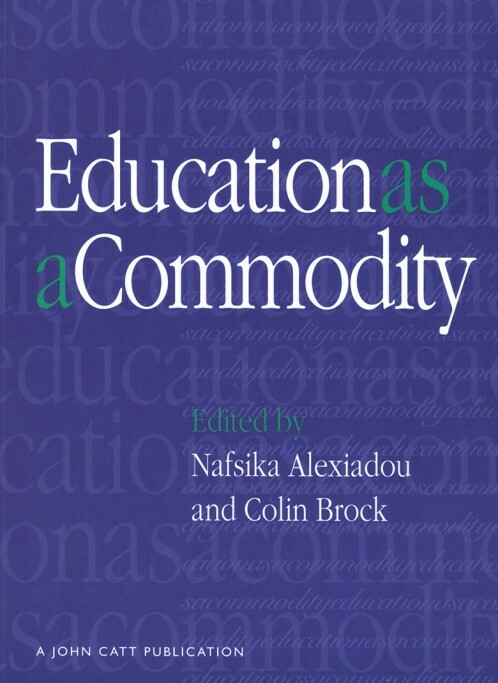 A collection of essays discussing education as a service to be paid for or exchanged with, including: Introduction by Colin Brock, University of Oxford; Situating Further Education within a changing public sector in England by Nafsika Alexiadou, University of Oxford; Marketing, market theory and progessive schooling: the Freinet movement as example and counter-example by Nicholas Beattie, University of Liverpool; After the Market: have we ever been in one? by Mike Bottery, University of Hull; Competence for Sale: NVQs, competence and the commodification of skills by Thomas Spielhofer and Geoff Hayward, University of Oxford; Lifelong learning and economics in Switzerland by David Matheson, Nene College, Northampton; Education as a Commodity in New Zealand by Julie Mikuta, University of Oxford; In the marketplace: delivering education under contract to the Prison Service Agency by Gillian Squirrel; Asking different questions: towards justifying markets in education by James Tooley, University of Newcastle; and Universities, privatisation and the market: the Greek experience by Evie Zambeta, University of Athens, Greece.